The Gradient jobs interface has been updated to include a few new items. 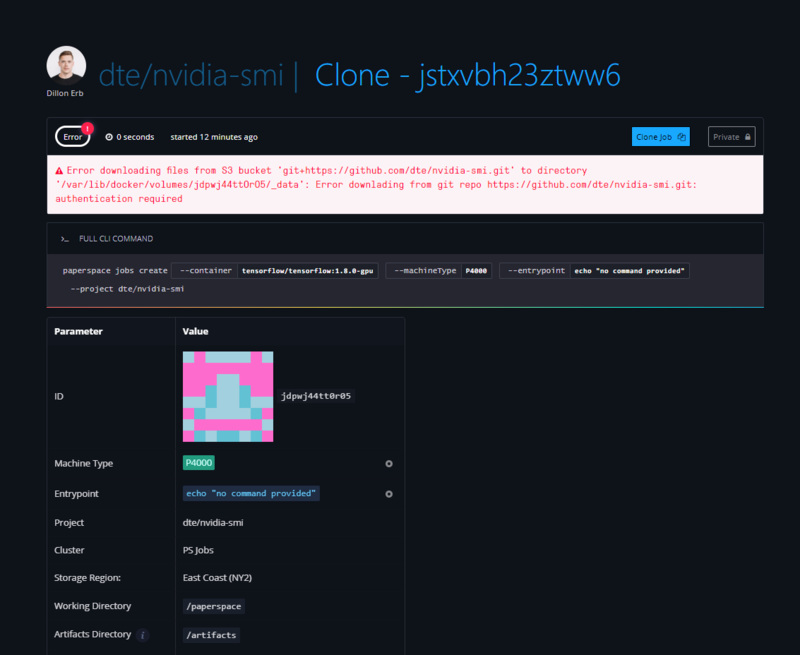 Most noticeably you will see these new colorful blocks that correspond to each unique UUID within the interface. These blocks give you a quick way to differentiate between different unique elements within the interface and make moving around much easier. 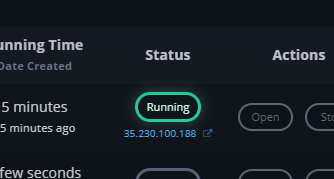 Under the new /data tab we have also made it easier to see your Gradient storage options as well as their current utilization. We are hard at work to make storage management easier, and this is the first step towards adding visiblity into this part of the Paperspace ecosystem. Notebooks have been one of our most popular features. In addition to some new templates and better support for Jupyter Lab, we also rolled out a number of small fixes to address user feedback. For example, you can now find the URL of a running job directly on the Notebook list, making it easier to share your notebook and work in multiple browser tabs. With this release we now support additional machine types. 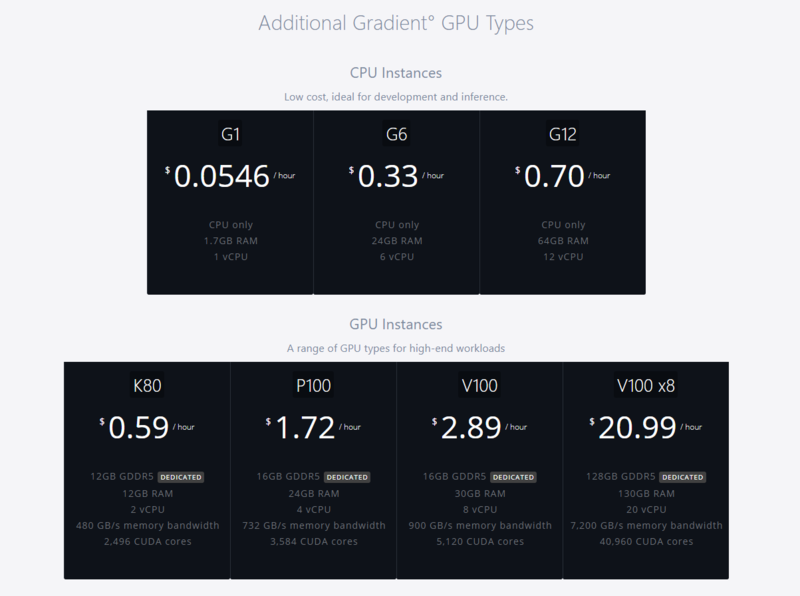 These include new machine types such as the V100, as well as multi-GPU machine instances. 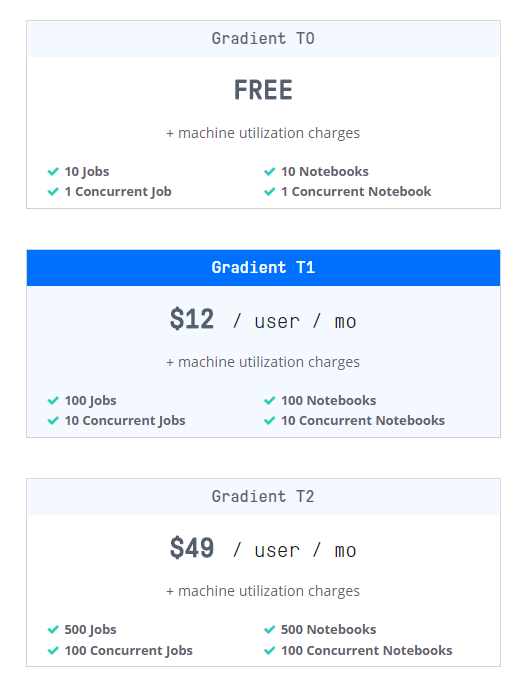 More and more teams are using Gradient to build out their ML/AI workflows and to support these teams we have added additional plan types which support more jobs, notebooks, and storage. Finally, it is now easier than ever to check your Gradient utilization under the billing tab. You can see exactly how much you have used before billing runs at the end of the month. 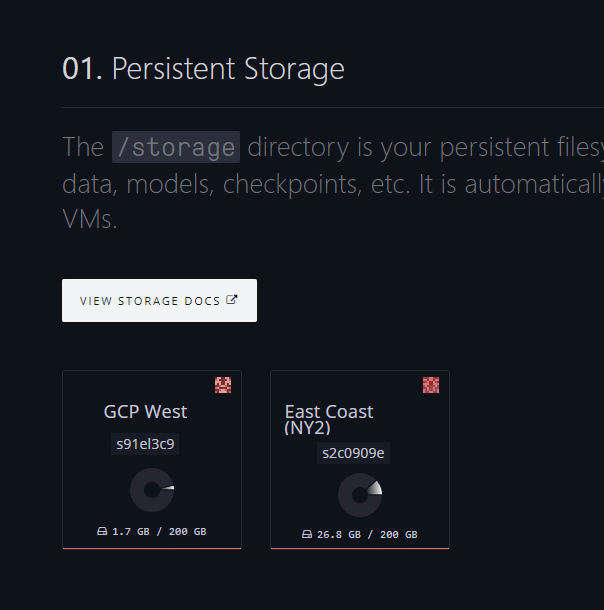 We added a few new datasets including COCO and have made it easier than ever to access both the /storage as well as the /datasets directly from your VMs, notebooks, and jobs. All new linux VMs automatically mount these directories, making it easier than ever to work with large datasets in your machine learning projects. Deep learning can get expensive, so we have been dropping prices on some of our most popular instance types. The P100, for example, is now only $1.72/hr and includes your Gradient persistent storage! In this article, we'll use Quilt to transfer versioned training data to a remote machine. We'll start with the Berkeley Segmentation Dataset, package the dataset, then train a PyTorch model for super-resolution imaging.